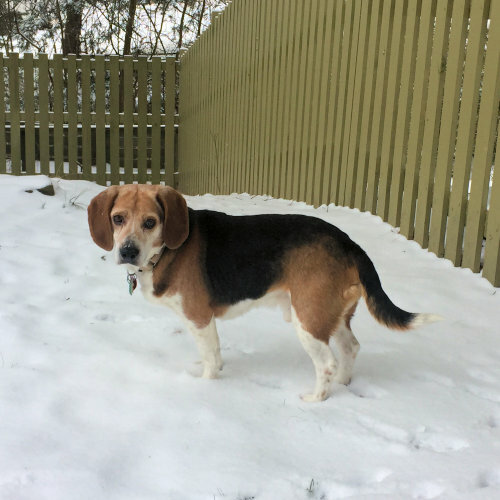 Bernie is a sweet senior beagle who was found as a stray and ended up at a local shelter. 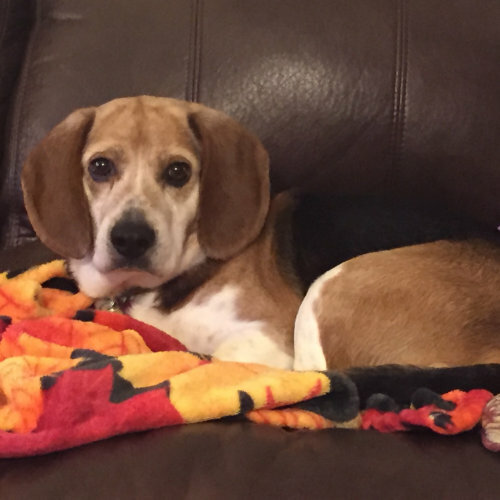 Now, he is at a comfy Midwest BREW foster home living the good life, and ready to move on to his new forever home. Bernie is approximately 10 years old and weighs about 33lbs. He is still full of life, energy and love in his little doggy heart. 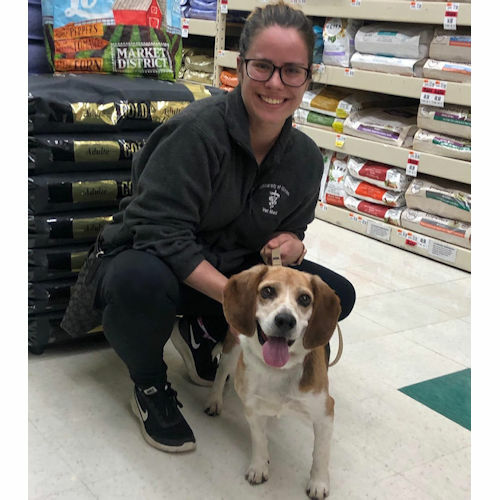 Bernie was shy when he first arrived in his foster home, so his new parents need to give him a little bit of time to get to know his family and his new environment once he gets adopted. Once he gets to know his humans, he is very affectionate and opens up his heart right away. He seems to be more comfortable with women but he also warms up to men given time. He likes walking and sniffing on the ground! He pulls when he catches a scent; however, he is generally good on a leash. He also likes to play with squeaky toys. But above all, he loves his people at his foster home. He likes to snuggle with his foster mom and his human brother. He follows them everywhere they go. Bernie is good with other dogs. He is potty trained and also crate trained. He usually stays in his crate for 3-4 hours everyday with no problems. He does not love to be put in it but he tolerates it and does well. Bernie does not like car rides and startles easily with loud noises. A quiet home would be the best fit for him. 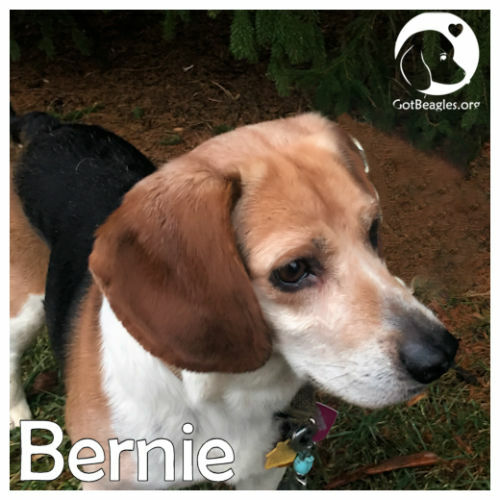 In summary, Bernie is looking for a home that can provide him with all the love that he deserves, and willing to receive all the love from a sweet senior beagle that is still full of life. If you think Bernie is the right one for you, please contact Midwest BREW right away! 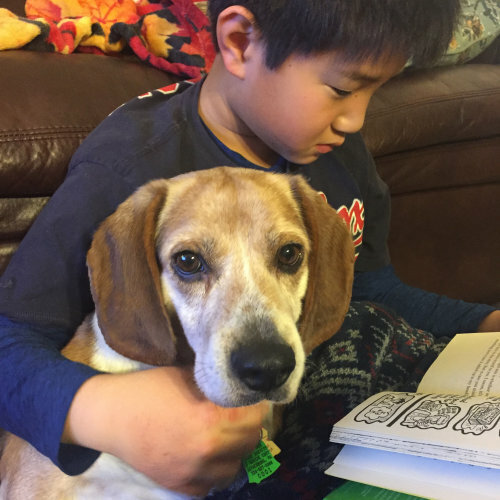 See more pictures and videos of Bernie on my foster beagle's Instagram! !